We interrupt the ongoing saga of the construction of our dream home and our new favorite game of “how many boxes did I hurdle today?” to talk handmade holiday gifts. It’s the easiest thing ever to make, and it’s one of those gifts that feels like a luxury to have and use. Pour salt into spray bottle. 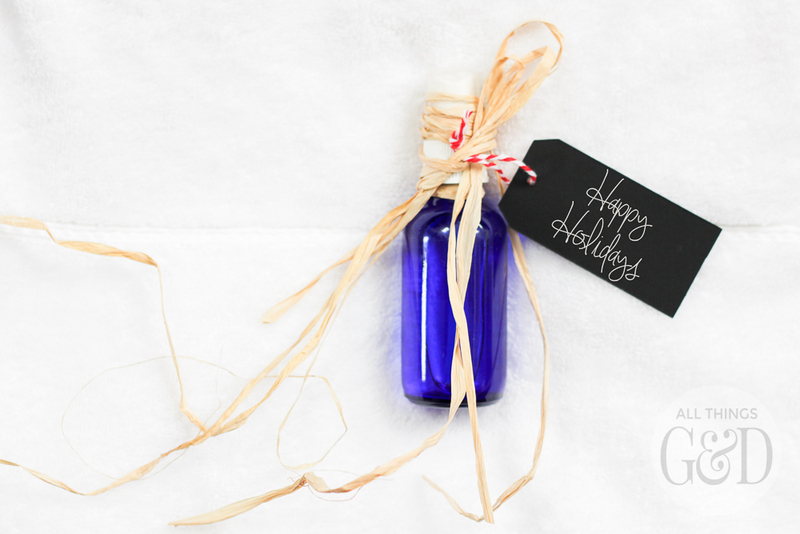 Add 5 drops of your favorite smelling Young Living Essential Oil and gently shake the bottle to mix and allow the oil to absorb into the salt. Fill the remainder of the bottle with distilled water, and shake to mix. Spritz on your favorite linens and enjoy! Okay, so some of you may be thinking this is too easy to believe. You’re likely already second-guessing it all and doubting you can do it, and assuming there’s a missing step here or something that gets much more complicated once you get started, but nope – not the case at all! I also make a spray hand sanitizer using the same method (different measurements) so if you’d like to see it with your own eyes check out the video of my Homemade Hand Sanitizer below. This video shows you how to make your own hand sanitizer (using Thieves essential oil) in both gel and spray versions so if you’d like to fast forward to the spray bottle/salt & oil mixing part jump to minute 4:00. 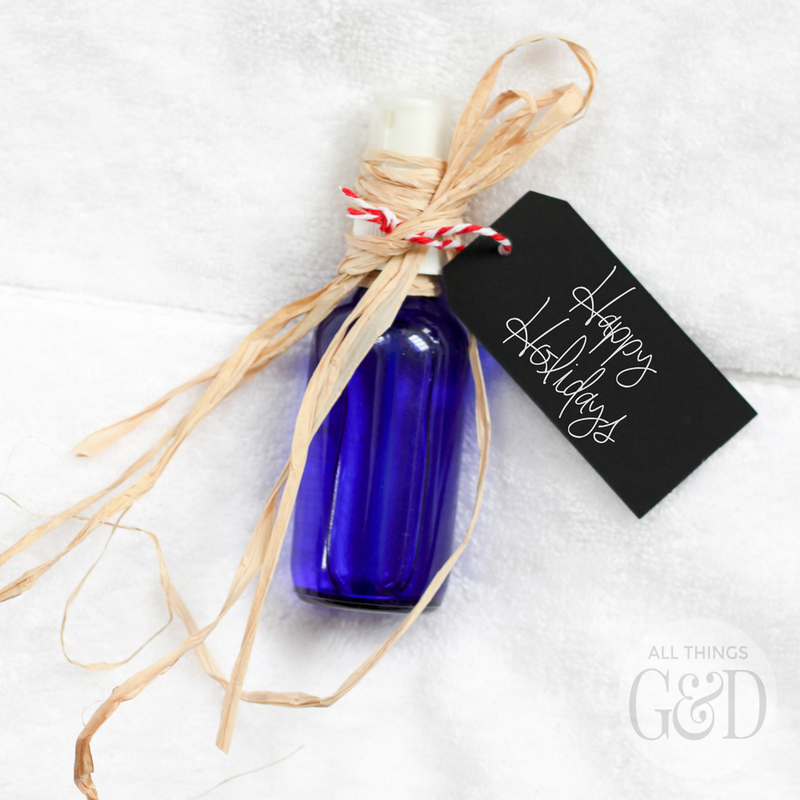 This homemade linen spray can be gifted on its own, or with a set of festive hand towels or some cozy warm flannel sheets. 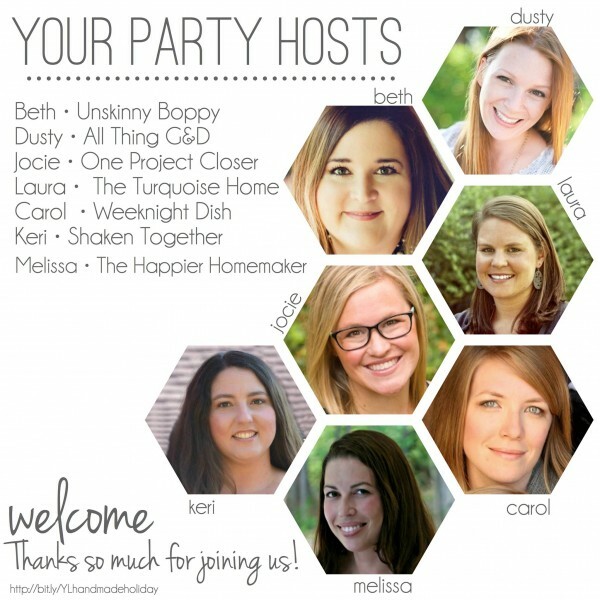 I used Young Living’s lavender essential oil for my recipe which pairs well with bedding. A spritz or two of the relaxing scent of lavender on a pillowcase is perfect before bedtime. Have hand towels in mind? 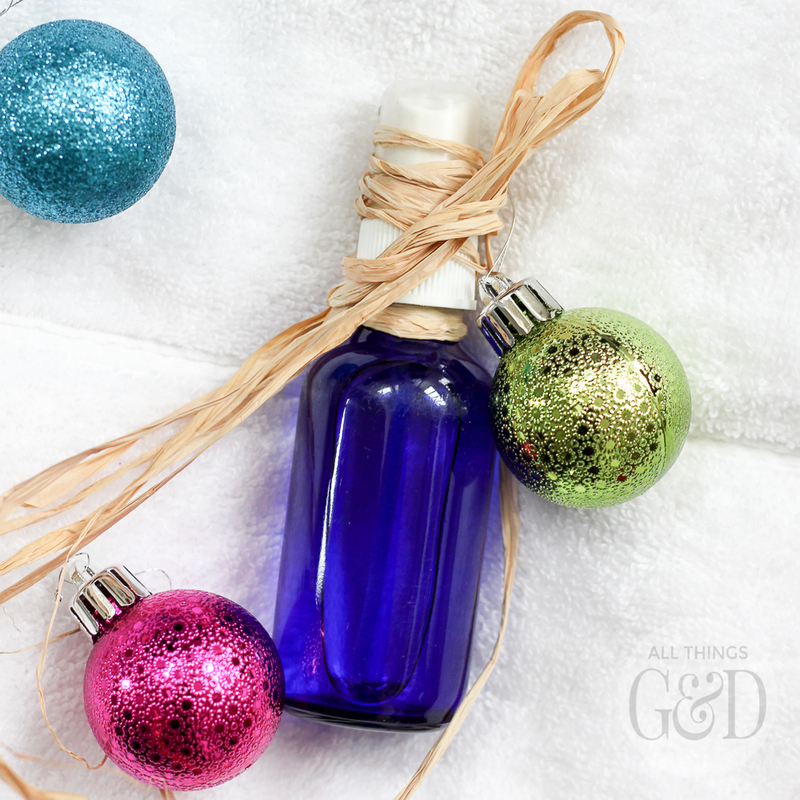 Young Living’s “Christmas Spirit” essential oil blend is one of my favorite scents this time of year, and perfect for spritzing on hand towels to freshen up bathrooms and kitchens. 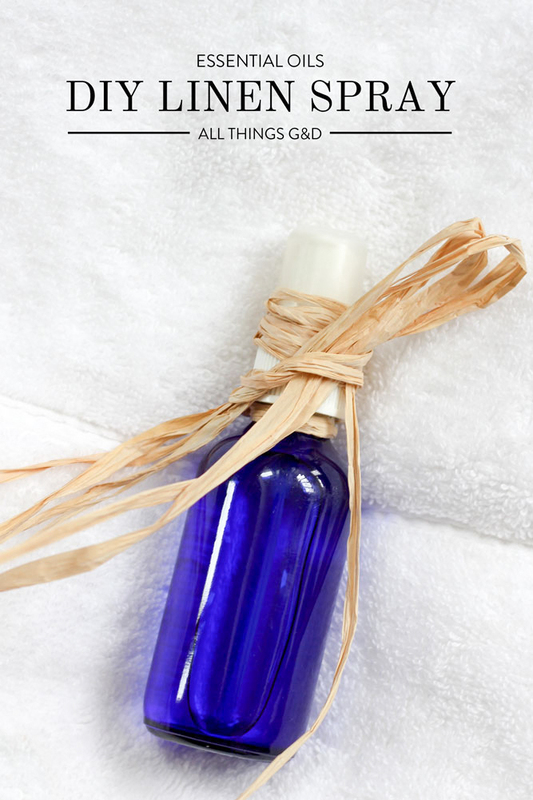 What would your favorite homemade linen spray scent be? 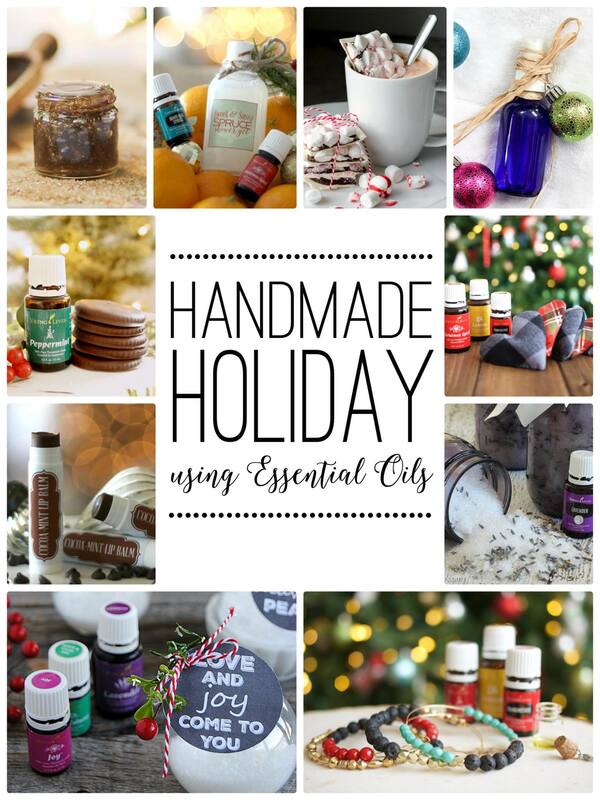 Also, please be sure to check out their fantastic posts, videos, and how-to’s for some great homemade goodness this holiday season! *Unlike my toothbrush holder, which is still missing. **10,000 country kid points if you recognize that song.